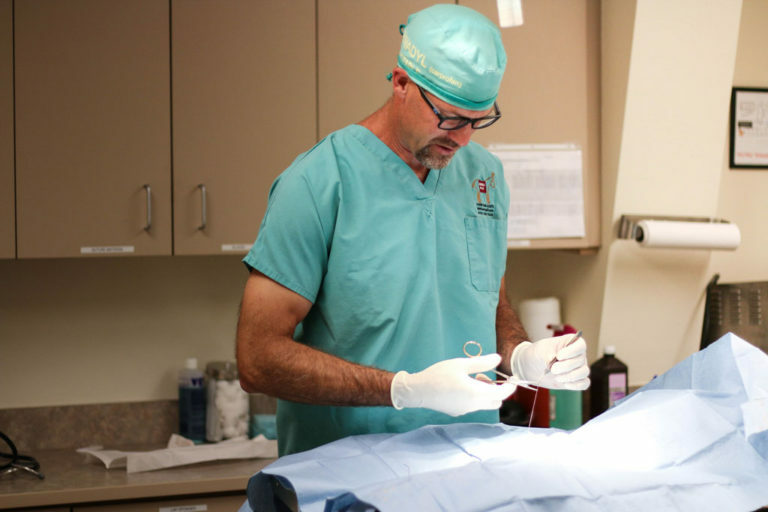 We are Fremont County’s leading hospital for small and large animal medicine! A staple of the community since 1975, we are passionate about staying at the forefront of veterinary medicine, providing gentle, mindful care for every animal that walks through our doors. We're a team, and a family! "We have been servicing this community for over 45 years. and people know the entire Ley family and all of its generations!" We provide services for the local prison system which includes Holstein dairy cattle, water buffalo dairy, goat dairy, wild mustang program, bighorn sheep herd, American bison herd. In addition to diagnostic and preventative services, our hospital is equipped with digital radiography and in-house labs. We also offer large/farm animal care and pulmonary arterial pressure (PAP) testing. We’re focused on making sure our hospital has the right tools to allow our doctor and medical staff the ability to provide excellent service and care. Dr. Jeremy Ley is one of the very few veterinarians in the country trained to test for PAP in cattle. This test is a reliable predictor of susceptibility to developing congestive heart failure in high altitudes, often called brisket disease. We’re committed to our love of the great outdoors, especially in the Fremont area, which is why our hospital and team are proud supporters of FAR. You’ll often find our team using the trails they help preserve and enjoying the events and fundraisers they coordinate in our community. Located just 45-minutes away from the big city amenities of Colorado Springs and Pueblo, Canon City allows access to endless outdoor recreation activities. We’re proud to boast 60+ miles of mountain bike and running trails, the finest year-round rock climbing, 102 miles of Gold Medal fishing, millions of acres of public land for hunting, fishing and camping, world class rapids for kayaking and rafting, and a short drive to great downhill skiing.